Baby Shower, Birthday, Anniversary. 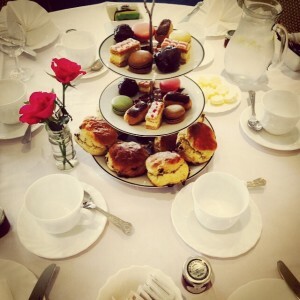 What ever you want to celebrate why not do it with an Afternoon Tea! For a more casual Baby Shower, we can offer our quaint & cosy Lounge Bar. Cake stands can be dotted around the room and a tea station set up for your guests to enjoy. This room can accommodate up to 30 guests. Minimum of 40 to be catered for. 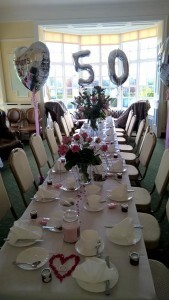 Tables are laid with cake stands in the middle and each place setting with a cup and saucer and your selection of teas. A waitress will serve guests hot water to go with their choice of tea. Minimum of 60 to be catered for.